Now, in a paper published today in the journal Nature, a team of researchers coordinated by Carlo Ratti, director of MIT's Senseable City Lab, unveil a computationally efficient solution to this problem, which they dub the "minimum fleet problem." "We started looking into this problem motivated by the increasing trends toward shared mobility, which will likely become even stronger with the transition to autonomous vehicles," says Ratti, who is also a professor of the practice in MIT's Department of Urban Studies and Planning. "If demand for mobility is served by fleets of shared vehicles, a fundamental question is: How many vehicles do we need to serve the mobility needs of, say, a city such as New York?" Researchers have previously attempted to solve this question using variations of the "traveling salesman problem," which aims to minimize the total distance travelled by a salesman who must visit a given number of destinations in a city. However, it has so far proven extremely difficult to find an optimal solution to the travelling salesman problem, even using today's powerful computers. As a result, good solutions for fleet management have been severely constrained in size, meaning they can only be computed for fleets with just a few tens of vehicles, according to Paolo Santi, a research scientist at the Senseable City Lab and a senior researcher at the Italian National Research Council CNR, who led the research team. 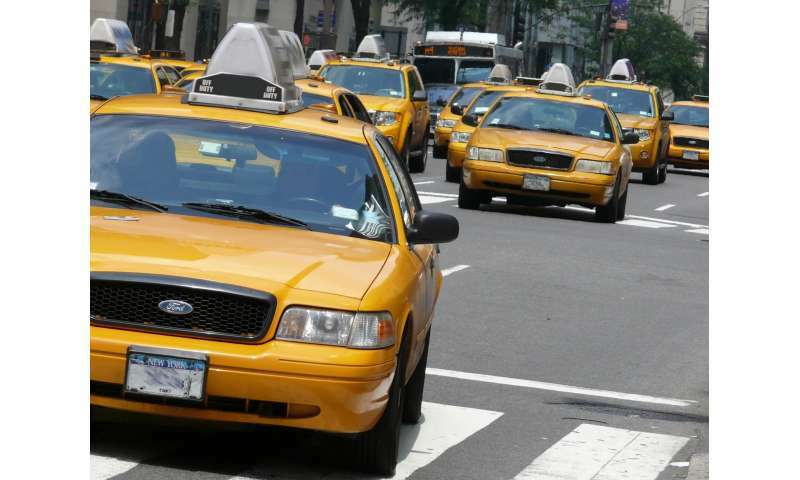 "If we were to consider replacing the current taxi system in New York with an optimized fleet of vehicles, we would have to find the best way of serving the around 500,000 trips made in a day, which are currently served by about 13,500 taxis," says Santi. Instead, the researchers used a network-based model they have dubbed the "vehicle sharing network" to approach the problem. They previously used a similar approach, called the "shareability network," in a 2014 paper to find the best way to share rides in a large city. 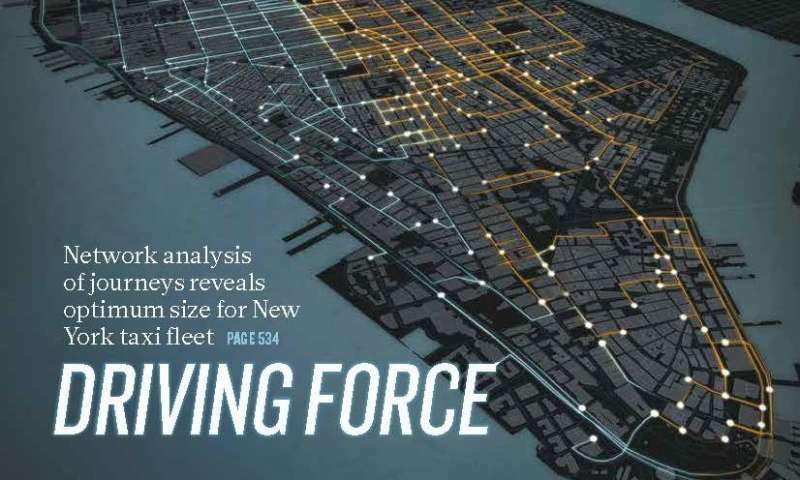 "If we look at Manhattan as a whole, we could theoretically satisfy its mobility demand with approximately 140,000 vehicles—around half of today's number," he says. "This shows that tomorrow's urban problems regarding mobility can be tackled not necessarily with more physical infrastructure but with more intelligence, or in other words: with more silicon and less asphalt." I don't see how this can be true. If I operate my personal vehicle, it goes only to places I need to go. An on-demand vehicle must make the trips its riders need and then go additional distance between riders. Further, on-demand vehicles probably need to return to some additional locations for fueling (recharging), inspection and cleaning. All additional distance vs a private vehicle.